Raised in Pesotum, Carrie is an alum of Unity High School. She attended Parkland College before transferring to the University of Illinois at Urbana-Champaign, where she obtained her BS in Business Administration/Entrepreneurship. Carrie obtained her real estate license in early 2016 after serving as the Manager of Donor Relations at Community Blood Services of Illinois for several years. She appreciates that each client is different, and strives to represent them in a manner that meets their individual needs. 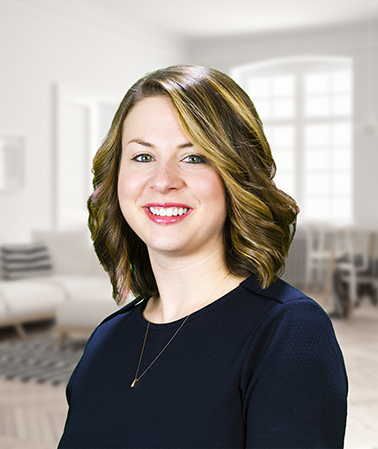 Carrie's extensive customer service background, along with an acute sense of detail, make her an ideal partner when you're ready to buy or sell a home. Carrie and her husband, Jason, reside in his hometown of Mahomet with their sons Sullivan and Calvin, and boxer, Hogan. Outside of assisting people with their real estate needs, she loves taking on her own home improvement projects, reading, attempting to cook, and spending time outside with her family and neighbors. Carrie volunteers with Mahomet Area Youth Club and Meals on Wheels, is a regular blood donor, and is active within her church.